Regardless of the well-rehearsed sales pitch offered by most cashiers these days, obtaining a new credit card isn’t a task that should be taken lightly. Not only do you need to research and compare credit cards before choosing one to apply for, but you should also learn everything you can about your chosen card before applying. For example, the Capital One® QuicksilverOne® Cash Rewards Credit Card is a popular card choice for consumers with fair or limited credit, thanks both to its flexible credit score requirements and its cash back rewards. But, while the card can definitely be a good choice for credit-builders, the annual fee, high APR, and low credit limits can impact its utility. 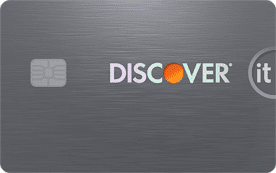 As evidenced by its marketing, the Capital One® QuicksilverOne® Cash Rewards Credit Card was specifically designed as a card to be used for building credit. The card is targeted to people with fair or limited credit, and that’s the category into which the typical approved applicant seems to fall. That being said, you may not even need an average credit score to be approved for the Capital One® QuicksilverOne® Cash Rewards Credit Card. While the average cardholder may have a score in the 600 range, reports indicate that a number of consumers with credit scores throughout the 500s have been approved for the card, as well. Indeed, not only does the card seem to be available to a wide range of credit scores, but it also may approve applicants despite a variety of credit report red flags, including some posts from Credit Karma reviewers mentioning approval even with recent bankruptcy discharges on their credit reports. Of course, approval is never guaranteed, and even if you are approved with a low score, chances are you’ll get only the minimum credit limit. If you’re concerned about your chances of being approved, Capital One offers an online form that will allow you to check for pre-qualified offers. Another thing to note about using the Capital One® QuicksilverOne® Cash Rewards Credit Card to build credit is that some users report having trouble getting Capital One to upgrade the card to the no-fee Capital One® Quicksilver® Cash Rewards Credit Card, even if their credit scores have improved dramatically. Anecdotal evidence suggests that cardholders who use the card monthly have the best chance of upgrading the card. Although the Capital One® QuicksilverOne® Cash Rewards Credit Card is one of a limited number of cards for consumers with fair credit offered by major banks, it isn’t solely the card’s flexible credit requirements that make it a top choice for people looking to build credit. No, it’s the Capital One® QuicksilverOne® Cash Rewards Credit Card‘s cash back rewards that seems to be the biggest draw. That’s because the Capital One® QuicksilverOne® Cash Rewards Credit Card offers an unlimited 1.5% cash back on every card purchase, with no bonus categories to track or activate. Cash back can be redeemed easily online for a statement credit, with no minimums for how much you can redeem and no expiration date on your rewards. At the same time, those rewards aren’t free. While the card’s sibling, the Capital One® Quicksilver® Cash Rewards Credit Card, offers the same cash back rate with no annual fee, Capital One® QuicksilverOne® Cash Rewards Credit Card users will need to pay $39 each year for their card. Given that you’d need to spend more than two grand a year to just break even on the annual fee, light spenders should question whether earning rewards is really worth paying an annual fee. However, if you know you’ll put at least a few hundred dollars a month on your card, then the annual fee may pay for itself. Of course, this all assumes you’ll be paying your balance in full each month to avoid being charged interest fees on your purchases. If you wind up carrying a balance, the Capital One® QuicksilverOne® Cash Rewards Credit Card‘s high APR will make the card even more expensive to use. On the plus side, the Capital One® QuicksilverOne® Cash Rewards Credit Card does have a few extra benefits beyond its rewards, including $0 Fraud Liability and extended warranty coverage. The card also doesn’t charge any foreign transaction fees, which can be a money-saver abroad. So far as technology goes, Capital One’s mobile banking app is fairly well-regarded, and cardholders can track spending, get instant purchase notifications, and set other card and account alerts. And, the CreditWise® platform allows users to track their credit score for free. Maybe you’ve done the math and found that you’ll easily spend enough to make the annual fee worthwhile — but don’t start filling out that application just yet. You have another important detail to factor into the decision: the credit limit. As we mentioned in the credit score section above, the Capital One® QuicksilverOne® Cash Rewards Credit Card may have very broad approval parameters, but that doesn’t mean everyone who gets approved will receive a huge credit limit. In fact, it seems like most of the applicants with a score below 600 received the minimum credit limit of just $300. While a low credit limit is often preferable to a denial — especially when you’re building credit — that low limit can definitely make using the card a bit more challenging. That’s because a low credit limit means even a few small purchases can cause your utilization rate to skyrocket unless you make multiple payments each month. Your utilization rate is based on the ratio of how much of your credit you are using over how much you have available to use. So, if you paid a $150 utility bill with a card that has a $300 limit, your utilization rate would be: $150 / $300 = 0.5 = 50%. A high utilization rate is usually a bad sign to other creditors as it can imply financial hardship. Most experts recommend keeping your utilization below 30% to avoid damage to your credit scores. This means, to actually make use of your card, you’ll likely need to pay your balance in full several times each billing cycle. There is good news, however. So long as you make your first five monthly payments on time — an easy task if you’re making multiple payments each month — you’ll have access to a higher credit line. And, Capital One is known for offering additional unsolicited credit limit increases to cardholders who regularly use their cards and pay on time. While there’s no denying that the Capital One® QuicksilverOne® Cash Rewards Credit Card is one of the best rewards cards for consumers with fair credit, it won’t be the best fit for everyone. If you’ve done your research but still aren’t sold, you may need to start investigating your other options. With fair credit, many prime rewards cards will likely be just out of reach. However, you can find a number of starter cards and secured cards designed to help you build credit. Some of our favorites offer useful perks and rewards as well as low fees. 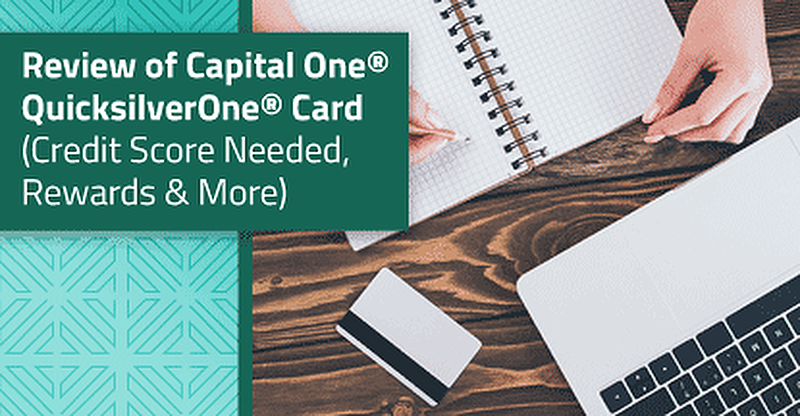 Although this card won’t help you earn rewards, the lack of an annual fee makes it an ideal solution for credit-builders who may not spend enough to make the annual fee charged by the Capital One® QuicksilverOne® Cash Rewards Credit Card worth paying. Both cards offer the same Capital One benefits, including a solid mobile app and $0 Fraud Liability. This card offers another option for cash back rewards, but it may also have an annual fee — or may not. Most features of this card will vary based on your individual credit profile, including the annual fee, APR, and the exact rewards structure you’re offered. You can fill out the pre-qualification form to get an idea of your offer without impacting your credit scores. This card is an awesome choice for establishing or building credit, offering a no-fee way to earn cash back rewards. Cardholders earn 2% cash back on up to $1,000 in gas station and restaurant purchases each quarter, and unlimited 1% cash back on everything else. Your deposit sets the size of your credit limit, and the card may be upgraded automatically to an unsecured product when your credit improves. The cards available to consumers with fair or limited credit may not be the flashiest or the most affordable, but each will have its own pros and cons. Be sure to weigh all of your options before making a decision on which card to use to build your credit. And that means more than considering the now — you should also consider your future credit needs. Ideally, your fair-credit card should only be at the top of your wallet for as long as it takes to improve your credit enough to qualify for better-quality cards with higher rewards and lower fees. At that point, you may want a card you can easily upgrade or product change so you don’t lose the credit line, particularly if you have limited credit history. Some cards may not present a path to a better card, making closure the only option, a factor that should be included in your decision-making process. The decision to open a new credit card is not one to be taken lightly. The potential credit and financial consequences of a new credit line demand that at least some time be taken to both determine whether you should open a new credit card — and that you’re opening the right credit card. This can be especially important when you’re building your credit, be it for the first time or after a few credit mistakes. 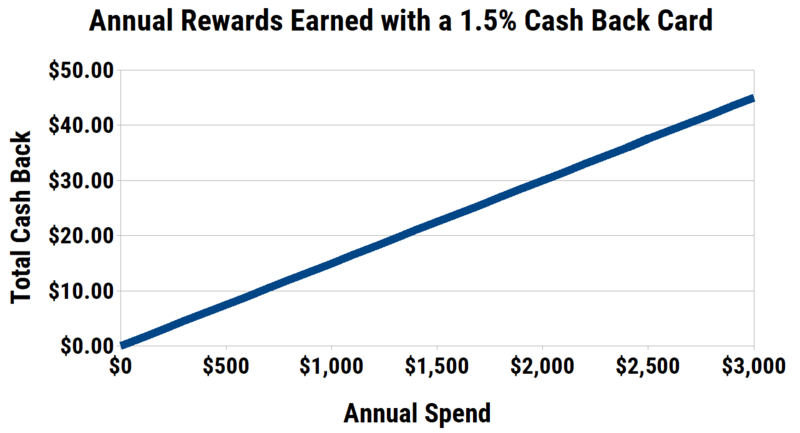 The Capital One® QuicksilverOne® Cash Rewards Credit Card, for instance, is a popular option for credit-builders who also want to earn cash back rewards on their purchases, but its annual fee and small credit limits make a little math necessary for an informed decision. So, before rushing off to fill out your Capital One® QuicksilverOne® Cash Rewards Credit Card application, it’s important to look at all the aspects of the card — and any other cards on your list. Taking a little extra time now can save you a lot of trouble in the future.